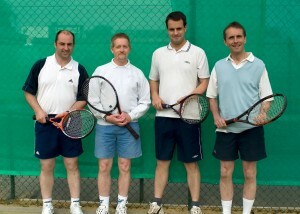 If you are keen for competitive tennis, we have a ladies team in the summer Tuesday night North Somerset League, two men’s teams in the summer Monday night North Somerset League, and a mixed team in the winter league. Don’t worry if you haven’t played league tennis before – the ladies is a very supportive team, and the men’s 2nd team is there to get new players involved. 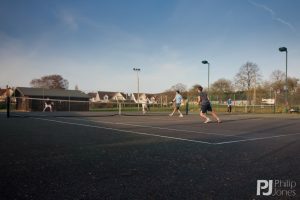 If you’re not interested in league tennis there is still plenty going on Monday evenings for Men (outside of the summer league season), Tuesday for Ladies and Thursday nights for mixed social tennis, and often at weekends.